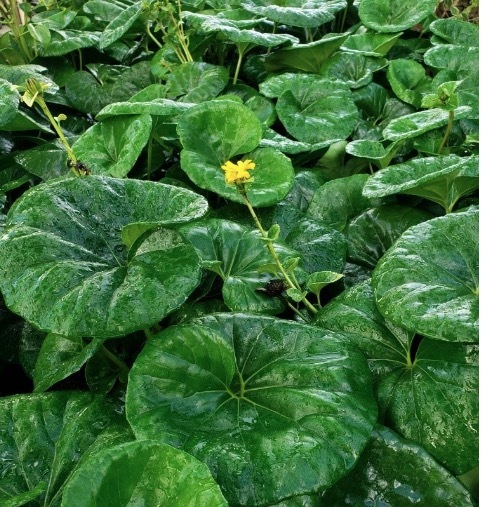 Make a bold statement in your shade garden with Farfugium japonicum 'Gigantea' - Giant Leopard plant. Native to streams & seashores of Japan, this amazing plant develops huge glossy, leathery, rounded dark green leaves up to 18" across. As a bonus, it blooms yellow daisy-like flowers late summer through fall. Farfugium will grow in full-to-part shade. It requires soil that is well drained & kept moist, so be sure to water regularly or place near a water feature like a fountain that splashes. At maturity, they will reach 3'-4' high by 2'-3' wide. Farfugium makes an interesting display when massed under trees, used as a shady border, or planted in a patio container. It provides instant eye appeal when planted near statues, garden benches, and bird baths, and it makes an excellent pond-side planting as long as it is planted just above the flood line. Farfugium is a great easy care, low maintenance addition to your shade garden. Amending the soil with compost when planting will keep your Farfugium healthy and happy throughout the year. 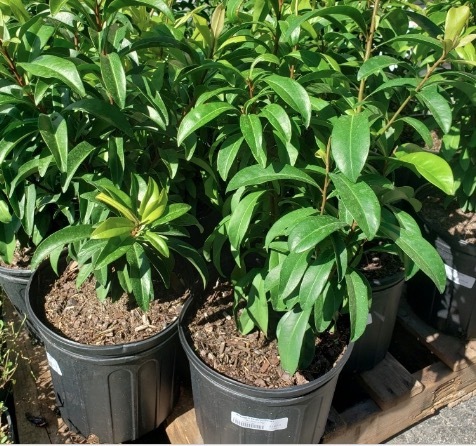 Because we just received a truck-full of Florida-native plants, we are highlighting another great plant this month - Marlberry (Ardisia escallionoides). This salt-tolerant flowering shrub or small multi-trunk tree is a favorite for screening. It will perform in shady areas where others won't. It has thick, glossy, dark-green foliage and can can grow 8'-15' high by 6'-10' wide. Birds and wildlife love the fruits while butterflies and pollinators love the pretty little white fragrant flowers, which are just beginning to appear on the plants. 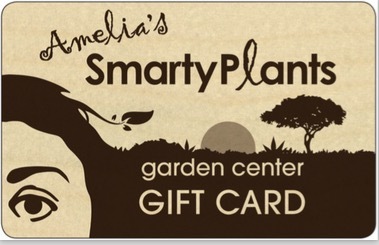 We are offering this beauty in a 3-gallon pot for 25% off through the end of the month.